Want a longer-look at God's word? Based on 'Elijah's diary' this thirty-day journey into the biblical book of Elijah gives you thought-provoking points to ponder, prayers and questions for the private or group consideration. You are encouraged to look at Christ and your everyday life from Elijah's perspective - as though in his daily diary entries, and to ask meaningful questions of yourself. The diary extracts appear at the start of each day's devotional which is then beautifully unpacked your guidance and spiritual growth. You'll find this refreshing approach to a 30 day devotional encouraging, uplifting and a helpful aid to contemplation. 30 Days with Elijah by Emily Owen was published by Authentic Media in September 2014 and is our 15054th best seller. 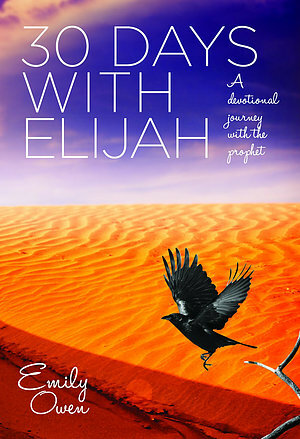 The ISBN for 30 Days with Elijah is 9781860249372. Be the first to review 30 Days with Elijah! Got a question? No problem! Just click here to ask us about 30 Days with Elijah.